Ansel Elgort was born on the 14th March 1994, in Manhattan, New York City USA of English, German, Russian and Norwegian descent. He is an actor, who is probably best known for starring in the roles of Tommy Ross in “Carrie” (2013), Caleb Prior in “The Divergent Series” (2014), and as Augustus Waters in “The Fault In Our Stars” (2014). He is also recognized as a DJ under the name “Ansolo”. His career in the entertainment industry has been active since 2012. Have you ever wondered how rich Ansel Elgort is, as of mid-2016? According to authoritative sources, it has been estimated that the total size of Ansel’s net worth is as high as $2 million, which has been accumulated through his successful involvement in the entertainment industry, not only as an actor, but also as a DJ. Ansel Elgort is the son of Grethe Barrett Holby, who is an opera director, and Arthur Elgort, a fashion photographer for Vogue. He was raised with two older siblings – one of them is film editor Warren, and the other, Sophie, works as a photographer. When he was nine years old, his mother enrolled him at the School of American Ballet. He went to The Professional Performing Arts School, Fiorello H. LaGuardia High School and Stagedoor Manor summer camp; while at high school, he started performing as an actor in school plays. 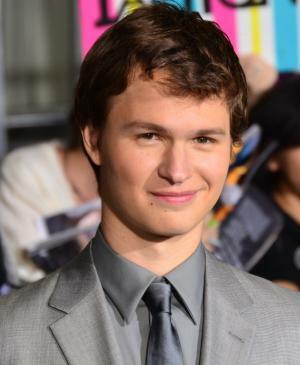 Ansel`s career began only a few years back, primarily on stage, but thanks to his initial success it was rather easy for him to secure roles on screen. He made several stage appearances including in “Regrets” (2012). The following year, he landed a part in the film “Carrie”, with Chloe Grace Moretz and Julianne Moore in lead roles, marking the start of an increase to his net worth. The next year was his breakout year, as he secured the lead role in the popular sci-fi film “Divergent”, alongside up and coming stars such as Shailene Woodley and Theo James. Ansel repeated his role in the sequels, entitled “Insurgent” (2015), and “Allegiant” (2016), and he will also appear in the next sequel scheduled for release in 2017, entitled “Ascendant”. This has added a lot to his net worth. To speak further of his accomplishments, Ansel starred in film “The Fault In Our Stars” (2014), alongside Shailene Woodley, and he appeared in the film “Men, Women, & Children” (2014), with Adam Sandler and Jennifer Garner as leads. Ansel has also been selected to appear in films “November Criminals”, “Billionaire Boys Club”, and “Baby Driver”, all which are in post-productions, but will certainly add to his net worth. Although his career has just begun, Ansel has managed to collect several prestigious nominations and awards for his work as an actor; he won the Teen Choice Award, and Young Hollywood Award in several categories, and he was also the receptionist of the MTV Movie Award for Best Kiss, which he shared with his partner of the film “The Fault In Our Stars”, Shailene Woodley. Apart from his acting career, Ansel is known as DJ artist “Ansolo”, and founded an account on SoundCloud, on which he published electronic music. In 2014 he signed a contract with Steve Angello Size Records, and has released three singles – “Unite”, “Totem”, and “To Life”. He hasalso collaborated with some of the greatest artists on the American music scene, such as Nicky Romero, and Martin Garrix. All of these have had a huge influence on his overall net worth. Regarding his personal life, Ansel Elgort has been in a relationship with Violetta Komyshan since 2012. 1 I got into movies watching old films my dad had, the old Elia Kazan movies. It was those old movies, actually, that really got me started. Marlon Brando, Paul Newman - straight-up legends. 1 Both he and Shailene Woodley have played brother and sister in Divergent (2014) and love interests in The Fault in Our Stars (2014). 2 Is friends with Joe Jonas. 3 Is a New York Knicks fan. 4 Has a dog named Galo. 5 Also records EDM under the moniker Ansølo. 6 He has a reputation for revealing plot-spoilers about his movies in interviews. 7 Ansel's paternal grandfather, Harry Elgort, was a Russian Jewish immigrant, while Ansel's paternal grandmother, Sophie Didimamoff, was born in New York, to immigrants from Russia. Ansel's maternal grandfather, Warren Barrett Holby, was a prominent Westchester real estate developer, and had English and German ancestry. Ansel's maternal grandmother, Aase-Grethe, was Norwegian; during World War II, she served in the Resistance for the Norwegian Government-in-exile, and helped save Jews in Norway from the Holocaust. Because of these activities, Aase-Grethe was imprisoned in a concentration camp by the Nazis (from 1943 to 1944). 8 Son of Grethe Barrett Holby, an opera director. His siblings are photographer Sophie Elgort and filmmaker Warren Elgort. 9 Son of famed fashion photographer Arthur Elgort.